Jaipur is the capital city of the princely state of Rajasthan is a perfect example of elegance with its glorious forts, brilliant palaces and enchanting gardens. The city was painted pink in the year 1876 in the honor Queen Elizabeth II and Prince Albert and since then is also referred as the Pink City. Set against the backdrop of royal palaces and historical forts, the Pink City of India appears shrouded in the magnificence of a bygone era. Jaipur needs no introduction to the world as its well preserved heritage speaks for itself. When it comes to the best tourist attractions in the capital city of Rajasthan, forts and palaces take center stage followed by a list of others. There are super and wonderful sightseeing tourist places to visit in Jaipur. Here below we have given a list of the 15 attractive tourist places in Jaipur to see for your tour. A palace complex situated in the heart of Rajasthan, City Palace gains precedence as it was the seat of the Maharaja of Jaipur. Built in the 18th century, the two palaces of Chandra Mahal and Mubarak Mahal were housed inside the complex along with impressive courtyards, gardens and other buildings that included the Diwan-I-Khas and Diwan-I-Aam, Maharani’s Palace and the famous Govind Dev Ji temple. The palace of Chandra Mahal and Maharani’s Palace, now converted into a museum have articles of historical importance on display. Located 11 km from Jaipur in the small town of Amer, Amer Fort served as the ancient palace of the Kachwaha Maharajas and their families. 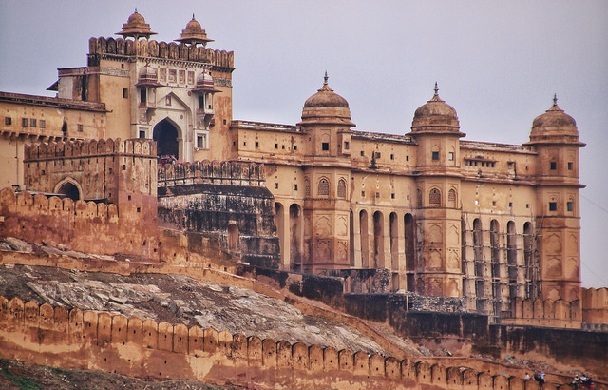 Built by Raja Man Singh I, the formidable fortress made from red sandstone and marble was constructed to ward off enemies during war times, giving protection to many inside its heavily structured walls. The magnificent frontage of the fort-palace stands imposingly over the Maota Lake offering a breathtaking vista. This garden is one of the most famous tourist places to visit in Jaipur that gives an amazing experience to you. Named after the queen for whom it was built, this 18th century palace garden is adorned with multi-level tiered gardens replete with watercourses and fountains. At the top of the terrace garden sits a double stored palace inside of which are many fascinating galleries and painted pavilions as well as beautiful murals depicting scenes from Lord Krishna’s life. 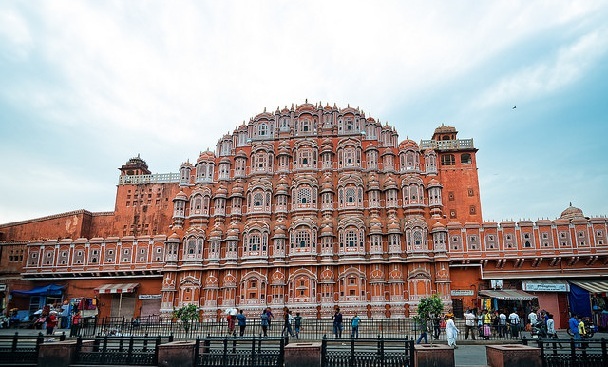 Hawa Mahal which was constructed in 1798 by Maharaja Sawai Pratap Singh from red and pink sandstone was so designed to take the form of Lord Krishna’s crown. The 953 small windows or jharokhas that make up the exterior of this unique five stored building are intricately carved in latticework. The Palace is said to be particularly striking when viewed in the golden light of the early morning rising run. 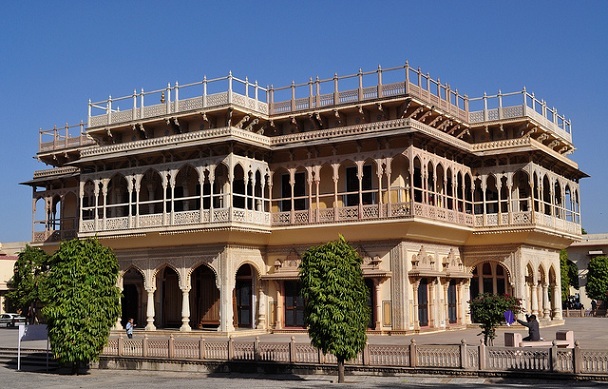 Albert Hall named after King Edward VII is the oldest museum in Rajasthan which was made open to the public in 1887. Initially intended to be a Town Hall by Maharaja Ram Singh it was set to become a public museum by his successor Madho Singh II which is dedicated to showcasing the rich art of Jaipur. Modeled after the Jantar Mantar in Delhi, the observatory houses a superb collection of architectural astronomical instruments of astounding proportions meant for measuring time, predicting eclipses, and determining other marvels of the universe. The observatory in Jaipur is the largest and best preserved. 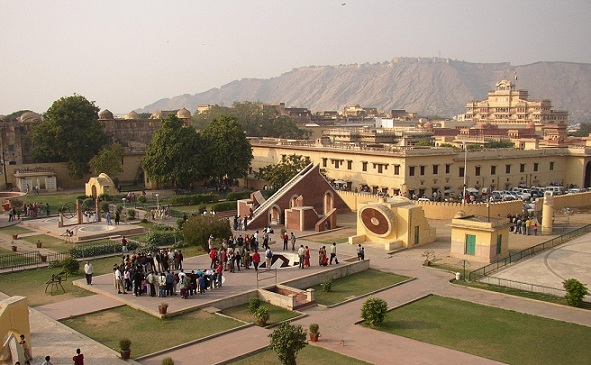 Jantar Mantar is most famous Jaipur tourist places to visiting with your family. 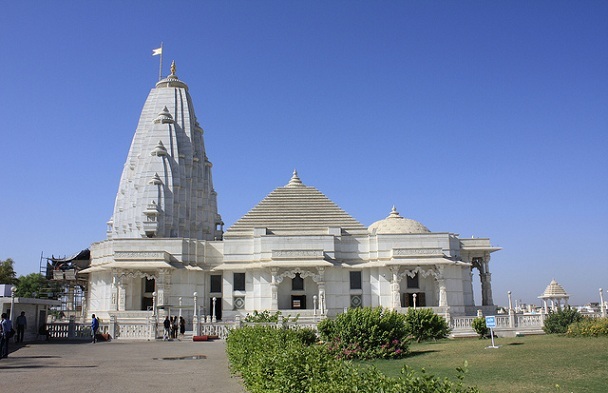 Birla Mandir is one of most excellent temples and most visiting tourist places in Jaipur. This was made from the finest white marble, Birla temple is a modern day architectural splendour dedicated to Lord Vishnu and his consort Lakshmi. The temple is surrounded by lush green gardens and is illuminated at night to give it an enchanting aura. Ram Niwas Garden is a 19th century legacy left by Maharaja Sawai Ram Singh of Jaipur. 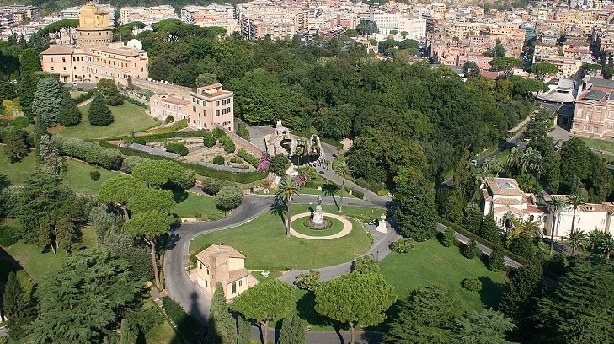 The sprawling 76 acre garden houses the Albert Hall along with a zoo. bird park, theater and art gallery, exhibition ground, gymnasium and several cafes, not to mention several picnic spots amidst the lush greenery. This is the extraordinary tourist place to visit in Jaipur for sightseeing. 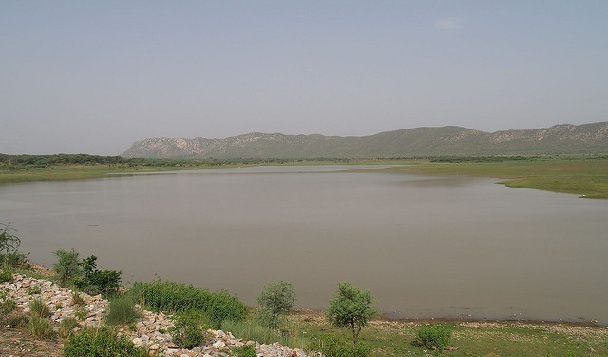 Ramgarh Lake, situated 32 km from Jaipur is a man made body of water, At one point of time it was the main source of water supply for the city of Jaipur. The Lake looks especially attractive after the rainy season when it is brimming with water and the scenic beauty all around makes it a popular picnic spot. If you are looking for the best places to see in Jaipur, you certainly cannot miss out on Nahargarh Fort. It is located on the Aravalli Hills and offers the panoramic view of the city, especially under the light of stars. 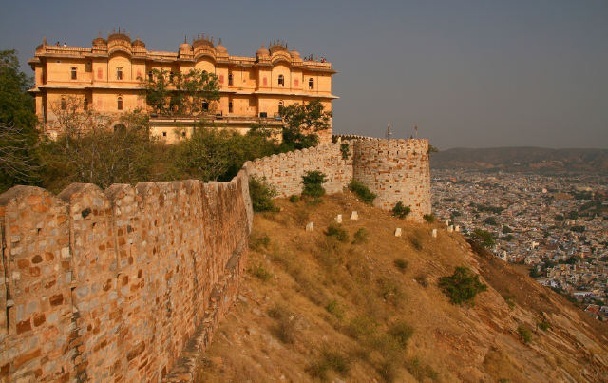 Nahargarh Fort was initially known as Sudharshangarh and was constructed by Jai Singh II. The place was later named as Nahargarh Fort or even the Abode of Tigers. The fort also functioned as a resting destination for Maharajas during picnics or summer excursions. Nahargarh Fort can be visited everyday between 9:30 am – 5:30 pm. The Govind Dev Ji Temple is one of the sacred places to see in Jaipur. 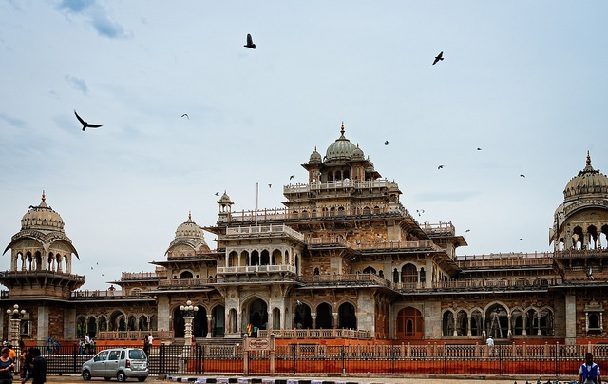 It is dedicated to Lord Krishna, an incarnation of Vishnu that is hosted within the City Palace complex. 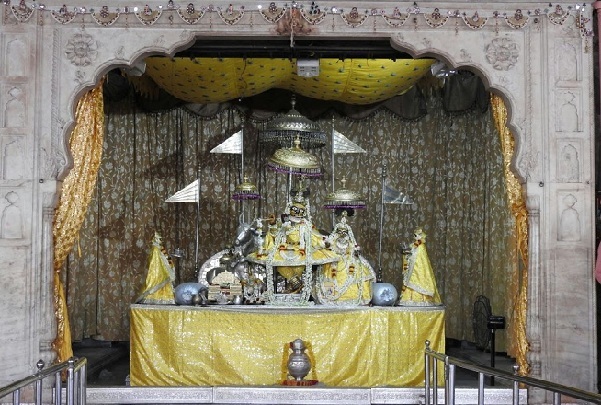 It is believed that the presiding deity in the Govind Dev Ji Temple resembles the Lord in His reincarnated form and is therefore an important religious destination for Hindus. 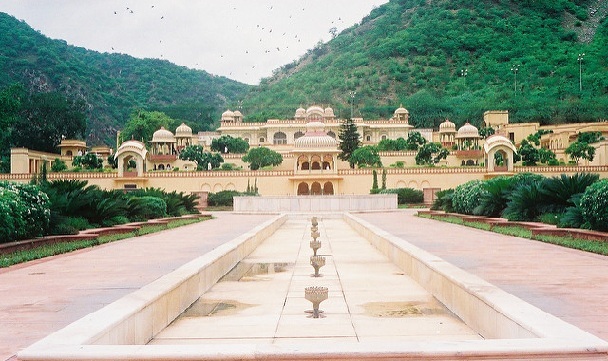 Rambagh Palace is one of the prominent places to visit in Jaipur. The palace was once home to the Royal Maharajas of Jaipur but now has been converted into the one of most luxurious hotels across the globe. Rambagh Palace was formerly a garden house of Prince Ram Singh, and later renovated to function as the residence of His Highness Maharaja Sawai Man Singh II during the 20th century. 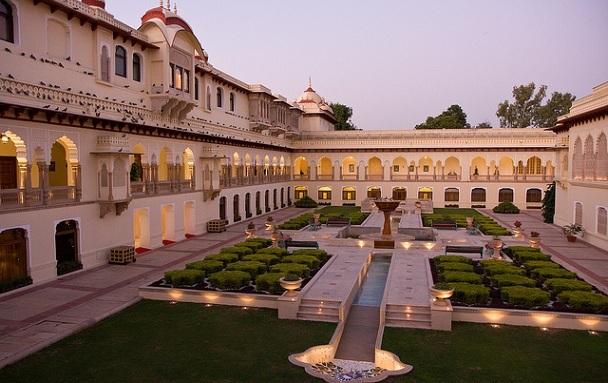 Even if you are not staying in the hotel, take out time to visit Rambagh Palace to feel the royalty of Rajasthan. 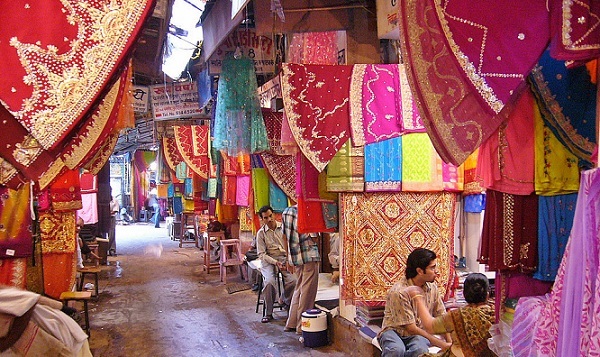 The local bazaars of Jaipur namely, Johri Bazaar and Bapu Bazaar are the must-visit Jaipur tourist places. If you want to get the real feel of the Pink city head to these local markets and indulge in the traditional handicrafts of the place. Johri Bazaar is the largest and oldest shopping destination in Jaipur that is highly acclaimed for its Gemstone collection and timeless jewelry pieces. Bapu Bazaar is renowned for its camel leather market and colorful lanes decorated with mojris, bags, lamp sheds and many more. Chokhi Dhani is the one of most sought-after tourist places near Jaipur. 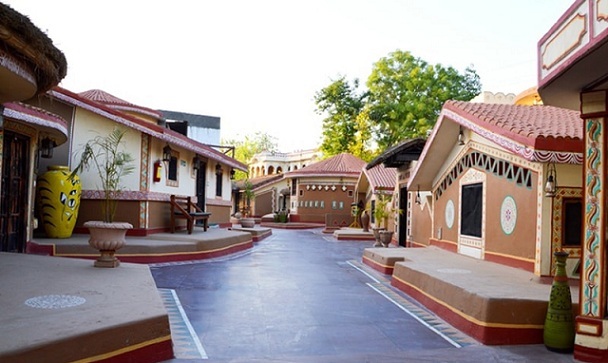 It functions as ethnic village resort, one-of-its-kind in India to give visitors a feel of the traditional Rajasthani village. Chokhi Dhani was first opened in the year 1989 and its popularity has been increasing with every passing year. You must definitely visit Chokhi Dhani to get an insight into the festive celebrations of Jaipur. The Rajputana Architecture has given some of the magnificent palaces, monuments and forts. 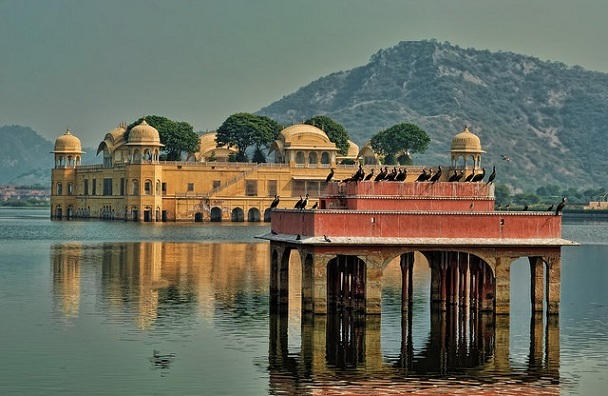 Jal Mahal, also known as ‘Water Palace’ is one such example. Located in the centre of Man Sagar Lake, it is a 5-storey building made from red sandstone. Jal Mahal portrays a perfect blend of Rajput and Mughal styles of architecture and is one of the best Jaipur tourist places. Traditional boat service is available for taking tourists to and from the palace. On reaching the top of Jal Mahal you get the breathtaking view of the placid lake and the majestic Aravalli mountain ranges. Jal Mahal is also home to colourful migratory birds and varied species of fishes. Jaipur with its colorful streets and royal hospitality is not just another tourist destination. It is a perfect place to explore, learn and become a part of its rich cultural heritage. Given here were the 15 most wonderful places to visit in Jaipur. So next time when you visit Jaipur set out to discover the place on your own and make sure to visit each of these superb tourist spots.